Over the past four to five years I’ve been paying Dropbox and Google Drive monthly to house my confidential and personal files, and I’ve always wondered about an alternative to the monthly fees. Then I was introduced to the Apollo Cloud 2 Duo, a storage device available in 4 or 8 terabytes. It that promises the user their own personal cloud storage in home or on the go. So exactly how does it work? Let’s find out. 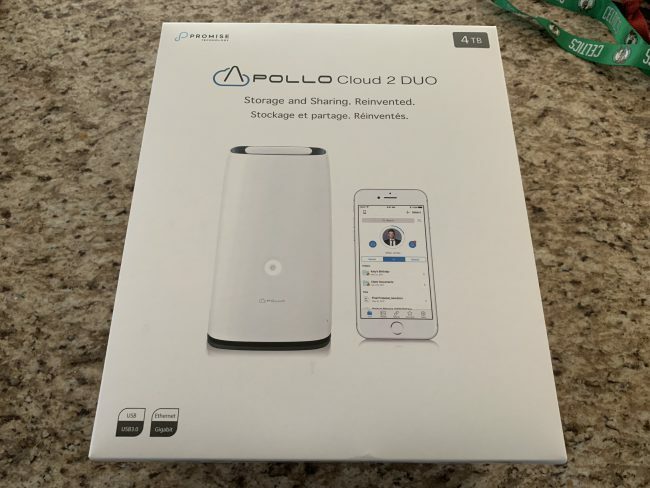 So Promise’s Apollo Cloud 2 Duo is a personal “cloud” solution that does away with subscriptions, using the users own home WiFi network to store personal files such as documents and multimedia that’s accessible through the company’s iOS and Android “Apollo” app, regardless if you are in your home or not. Inside of the box, everything is pretty straightforward. 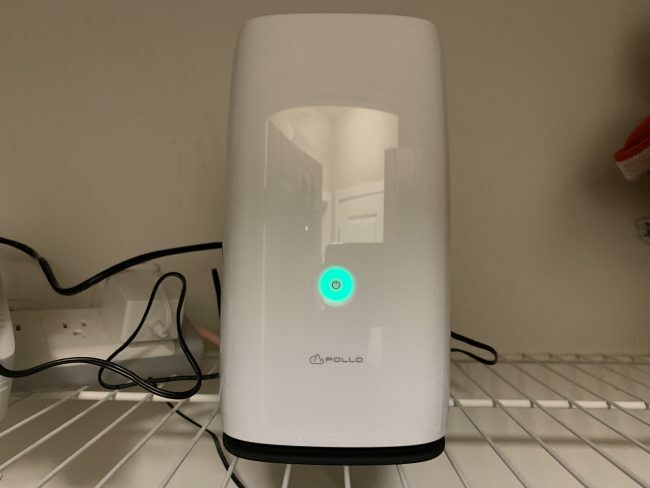 You receive the Apollo Cloud itself in its white color-way, the AC adapter for plugging into a power source, and an Ethernet cable which allows you to directly plug the Apollo into your home router. 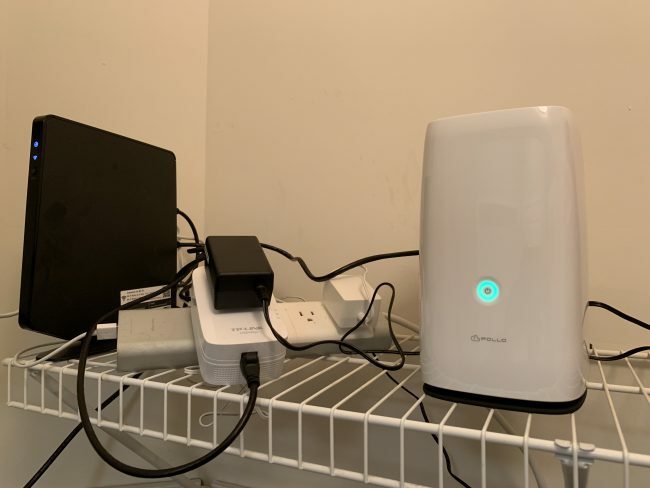 Now I personally have my router in my laundry room, and luckily I had a free slot for the Apollo but if you worry about having space for your Apollo next to a router, I would make the proper adjustments. 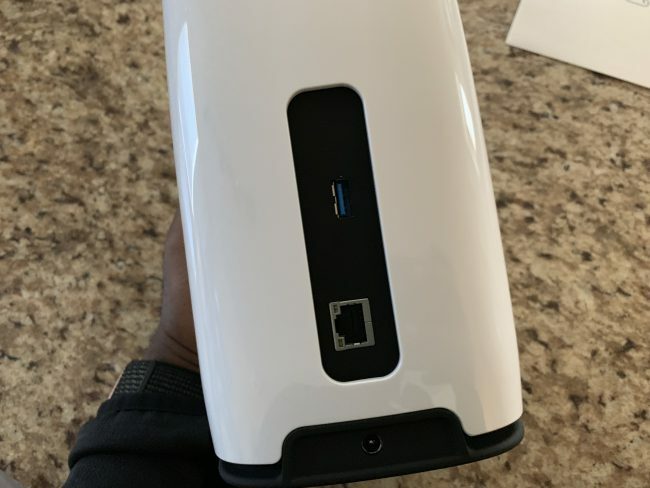 On the front of the device, there’s not much to see other than the branding and a “power” button that it touch-sensitive that will illuminate green when connected to your router. 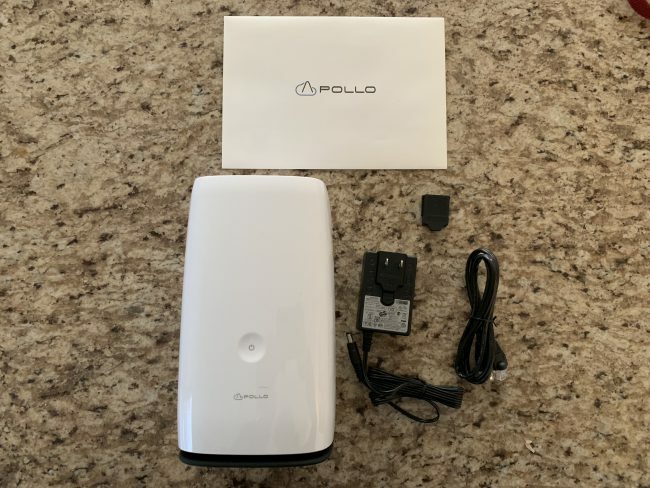 To the back of the Apollo Cloud 2 Duo are three female outputs, one for the AC adapter at the base, one for the Ethernet, and one USB port that is meant to both transferring files from a pre-existing hard drive to the Apollo or to expand the storage. This is possibly one of the most innovative components of the Apollo Could 2 Duo as not only does it make transferring faster than attempting to transfer via your desktop to the Apollo Web Client for Mac or PC, but if you have multiple drives you need to move storage to, there are fewer chances files will be missed in efforts of transitioning all of your files via WiFi. All of your content is completely secure and can be encrypted to your liking. This is helpful if you decide to keep backups of your desktop or laptop in the event it may one day crash. It can also serve as a shared server, like I do, for storing my movies and television shows so I can stream through my Plex app when I am not at home to watch them. 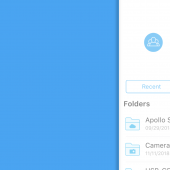 This is one thing I know for a fact Dropbox and Google Drive have yet to compete with the Apollo Cloud. Being directly connected to my Gigabit internet, streams come in fast and fluid, and if I chose to share the content, I can do so privately, or publicly, which is similar to the share features from Cloud-based platforms like Dropbox, however I can revoke access at a given time, without a monthly fee. 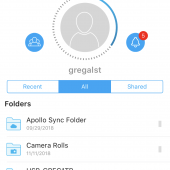 While I’ve been embracing the Google Pixel 3’s ability to store media to Google Photos, the Apollo 3 is BIT more reliable in terms of storing my full resolution photos automatically via the app, as well as creating albums based on facial recognition and locations. 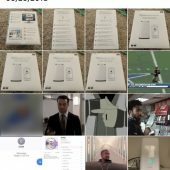 So in the event that Google or Dropbox DON’T pick up an image before I delete it from my camera roll, Apollo is a solid alternative to having all of my images in their true, uncompressed formats. There are other little details that you might like such as cloud mirroring that I haven’t had the opportunity to dive into since I only have one unit, but one nifty feature that I find REALLY handy is if you have a home IP camera, you can save yourself some extra cash in subscriptions by connecting up to two cameras up to the Apollo Cloud. 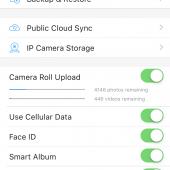 While I wish there were more, this is a welcome solution to the problem I’ve had with my D-Link HomeKit cameras that do record, but there’s no way I can look at backups after a certain amount of days. With the Apollo Cloud 2 Duo now I can go back days to look at footage that otherwise may have been deleted and replaced with more recent content. Now to the most important question: Will the Apollo Cloud 2 Duo replace cloud-based subscriptions? The answer is — for some, yes. For me, however, the answer is an unfortunate no. I would love to be able to trust a home server with all of the things, all of the photos and memories I decide to toss at it, but as a scorned user of many hard drives both large and small, all it takes is a hard drive failing to lose everything, and even though it has an internal Dual-Core processor and has the ability to configure the Apollo as RAID 0 or RAID 1, I must rather always have a backup to my backup, and as of right now, at least Dropbox has been that for now and years to come. I still love my Apollo and use it, especially now that it’s fully integrated into Apple’s “Files” app so I can cross-reference files on multiple platforms. Overall, this is a great product that will make your files a bit more secure since you have free reign over who has access to it, and a less liable chance it gets hacked. 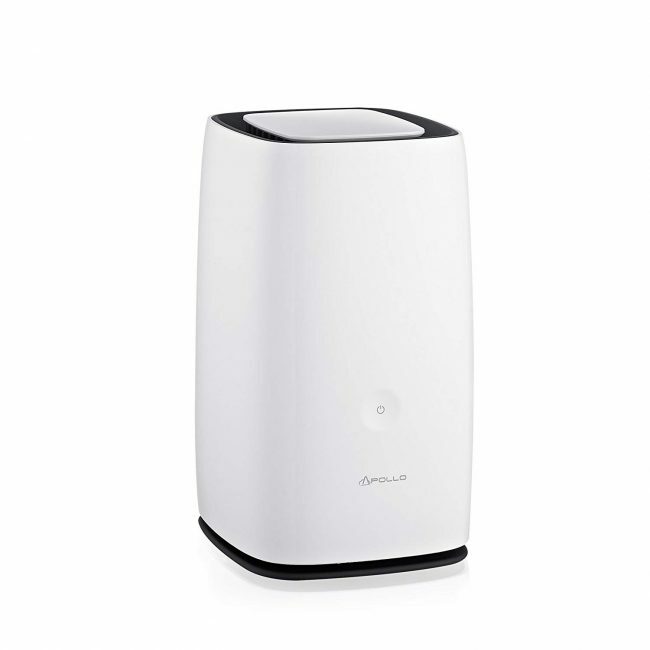 If you’d like more information about the Apollo Cloud 2 Duo, you can head over to Amazon.